Home Caravan Imports Buying a Swift Caravan import from UK? 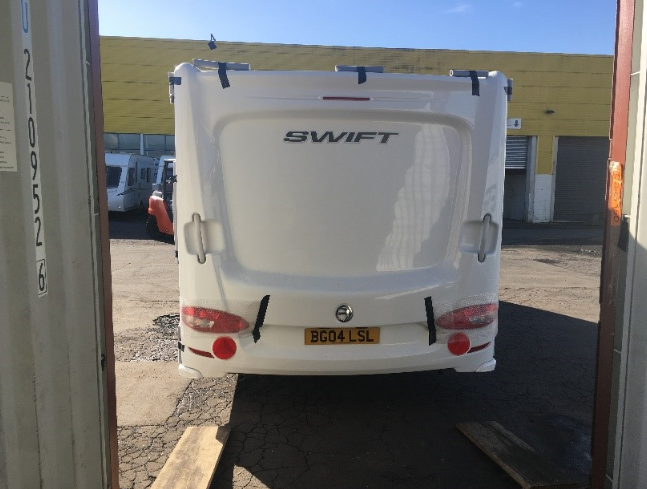 Looking to find and purchase a Swift Caravan from the UK? We can help with detailing the process on how to buy a Swift caravan in the UK, new or used. We will at the same time make the process both easy and unobtrusive. Looking to Buy a Caravan or Car from the UK and use it for the Holidays? This vessel arrives in NZ on 11th December, leaving just enough time for the clearance, unpack and compliance processes to complete before Christmas! Extreme Global, in partnership with Autobox Logistics UK, operate a weekly service from 3 Regional terminals, providing a 42-45 day transit into Auckland, Tauranga and Christchurch, specialising in Car and Caravan Imports and utilising the revolutionary R Rack system for vehicle loading. Check our SAILING SCHEDULE today!